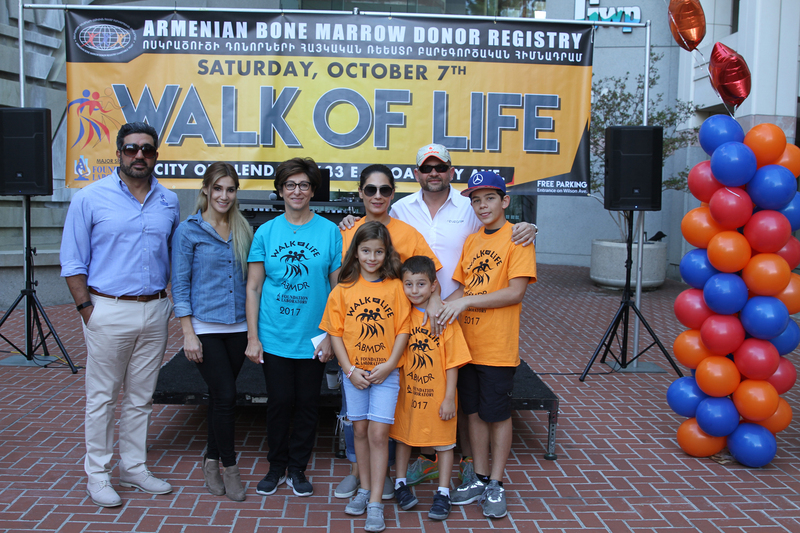 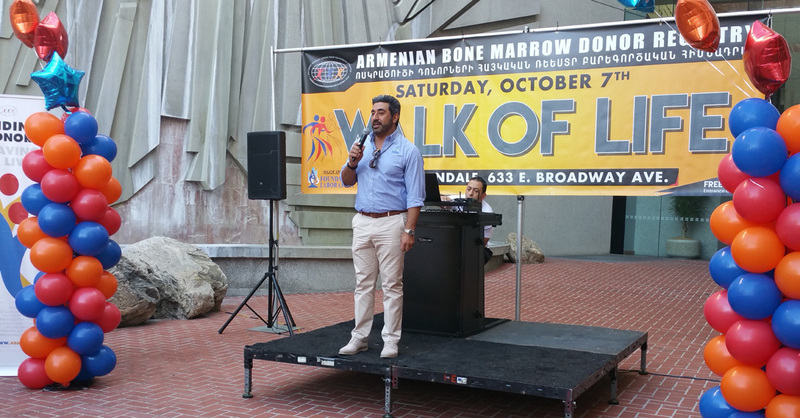 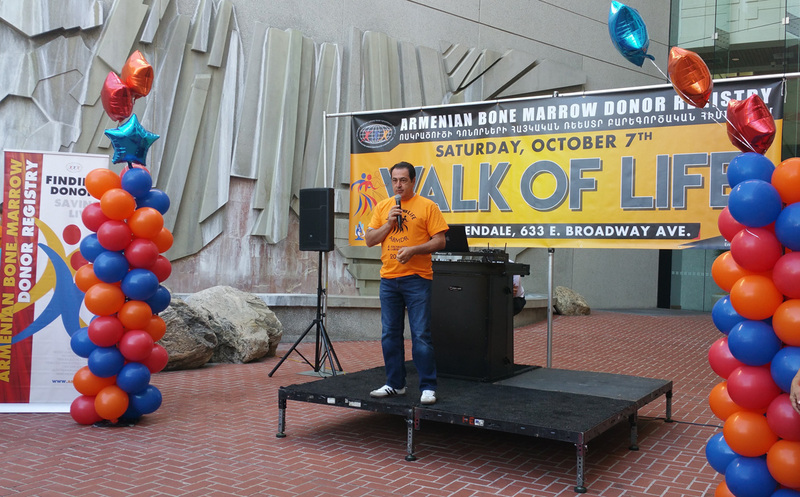 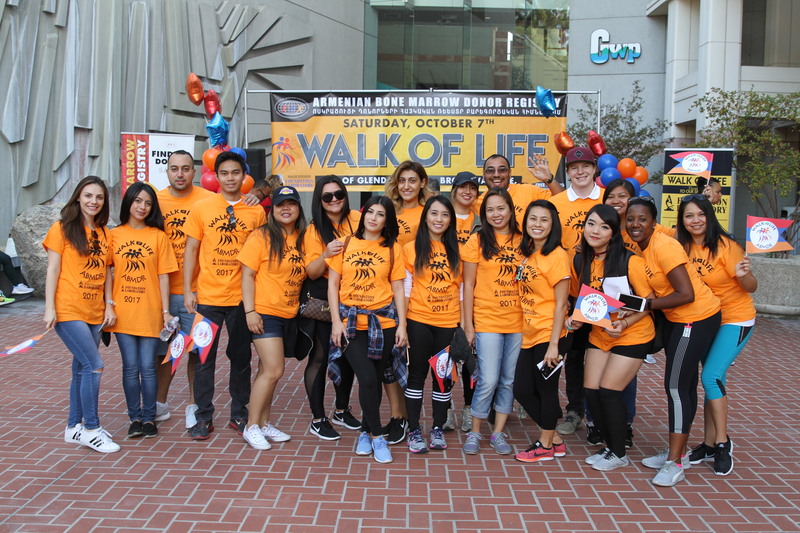 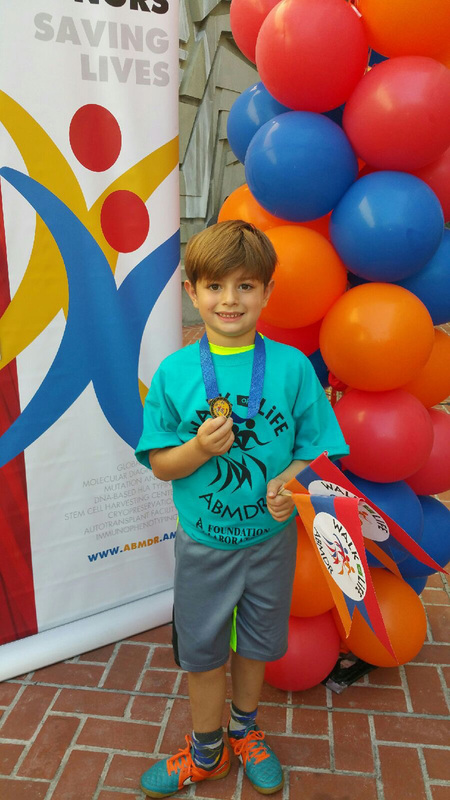 Los Angeles, October 13, 2017 – On October 7, over 300 supporters participated in Walk of Life, the 12th annual walkathon of the Armenian Bone Marrow Donor Registry (ABMDR). 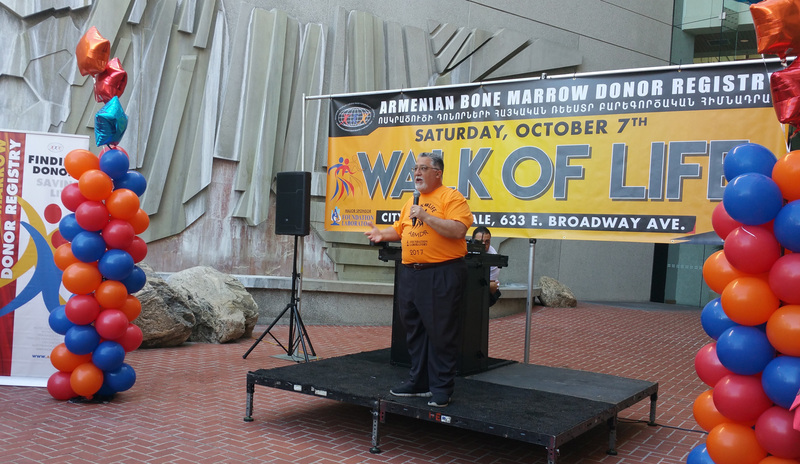 The event was held in Glendale, in a fun community atmosphere that featured music and food. 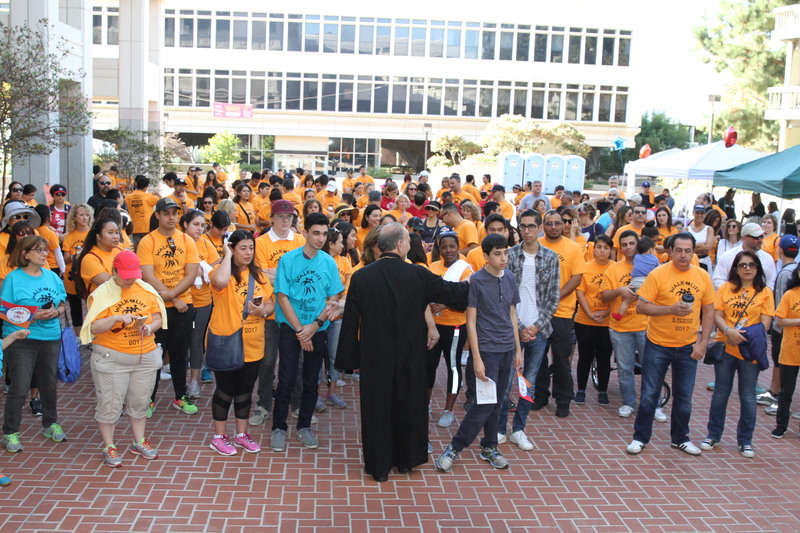 Participants included elected officials and community leaders, and numerous teams representing schools, universities, community organizations, and individual supporters. 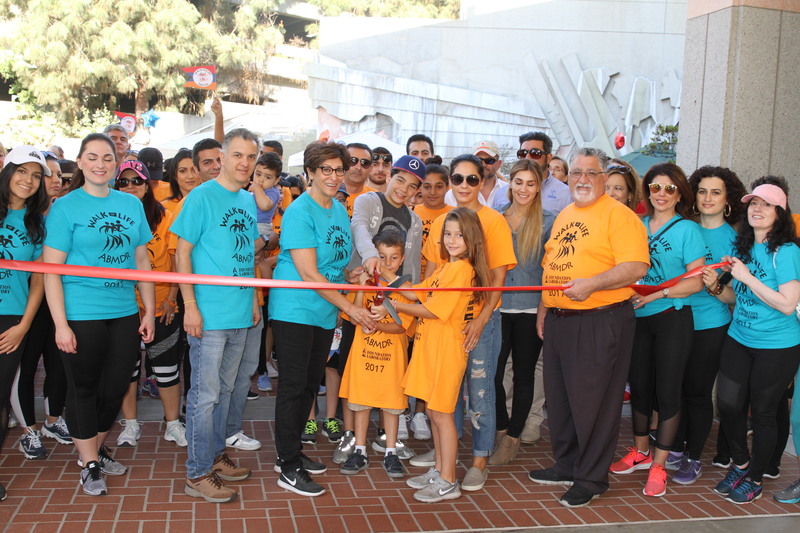 The opening ceremony was held at the plaza of the Glendale City building. 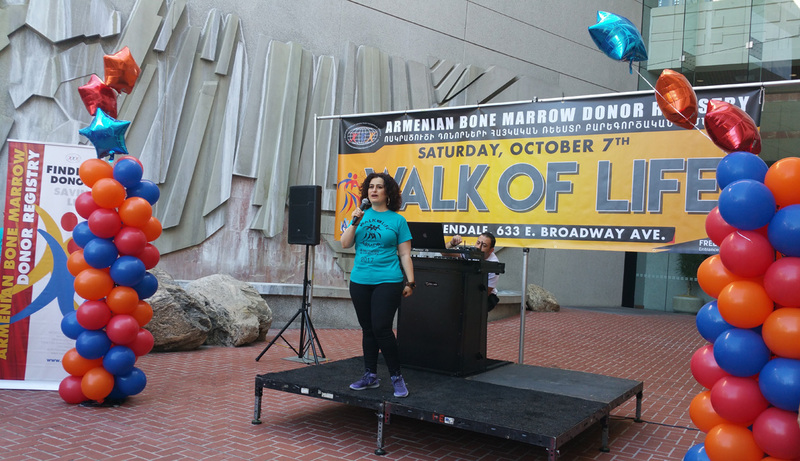 Welcome remarks were delivered by Walkathon Committee Chair Dr. Christina Ashjian. 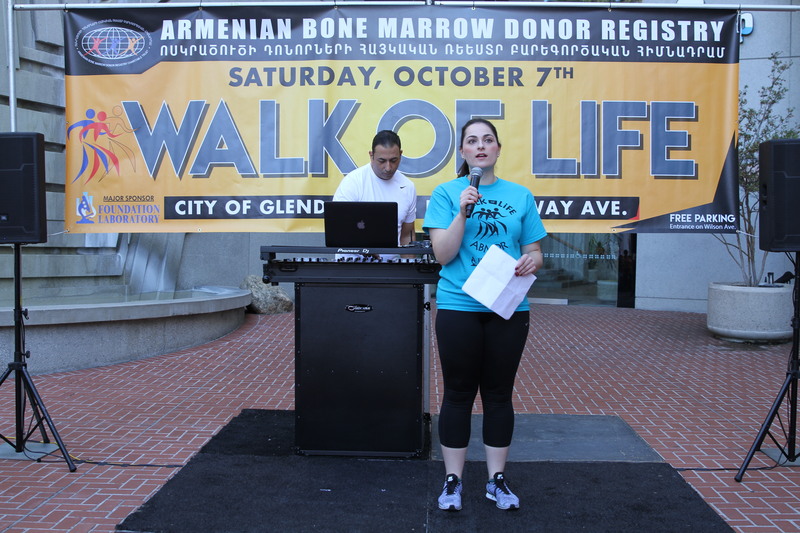 “Eighteen years ago, ABMDR was started with a mission to save lives by finding matches for patients who needed bone marrow transplants,” Dr. Ashjian said. 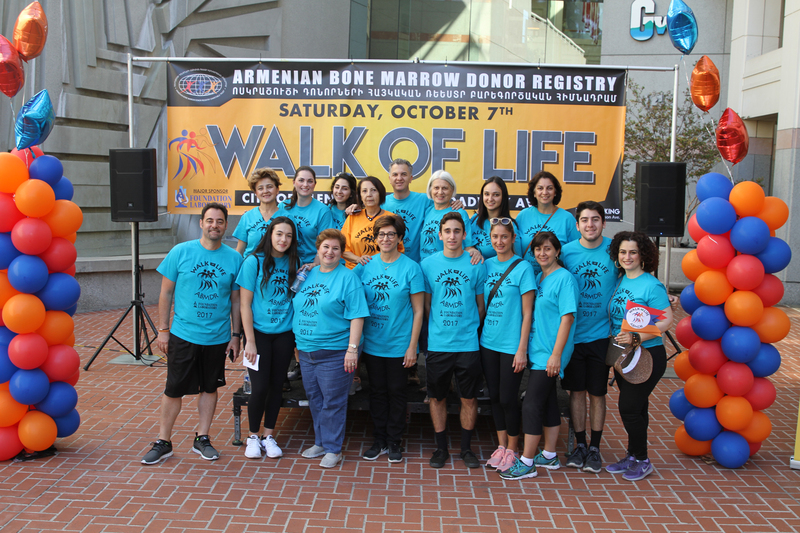 “Since our inception, we have registered over 29,000 donors from 30 different countries, spanning four continents, and helped save the lives of 30 patients through matched donors. 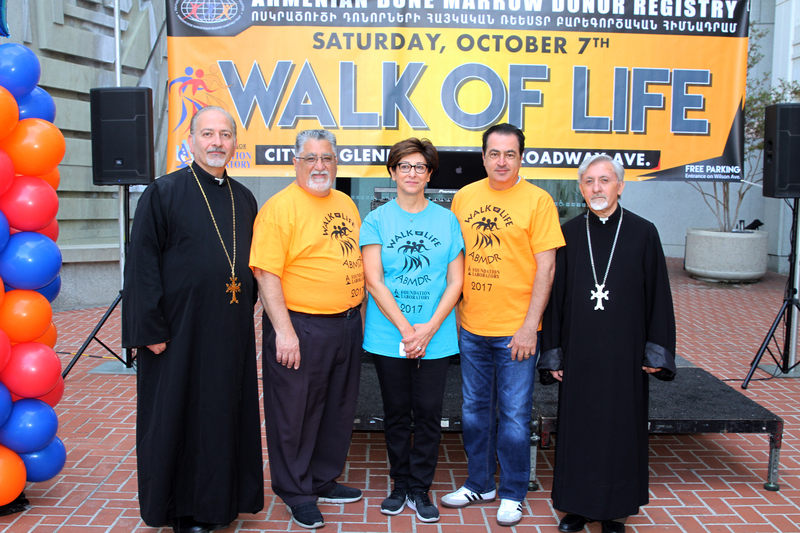 None of this would have been possible without your contributions and support.” Dr. Ashjian thanked the walkathon’s major sponsor, Foundation Laboratory, as well as other top sponsors including Tire Depot, Softline Solutions, Prolase, West Coast University, P.H. 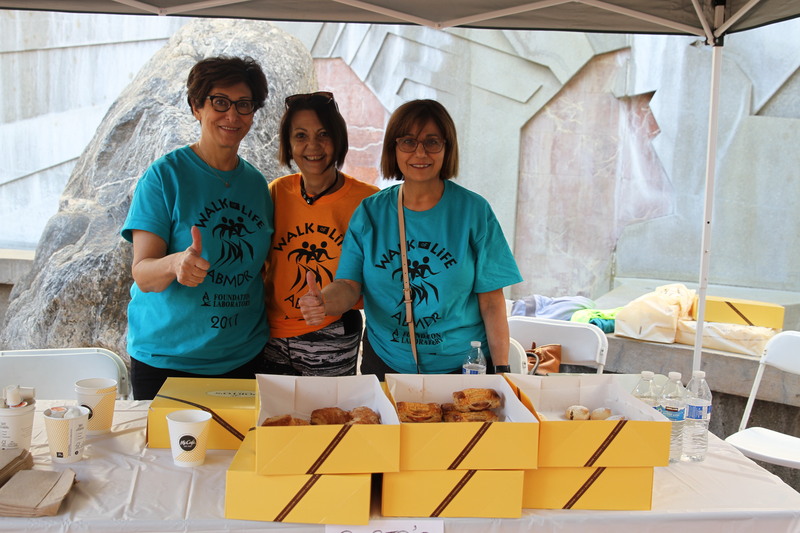 Solutions, Dr. Peter Ashjian, Paulette Malekian of Dilbeck Real Estate, Porto’s Bakery, and Printonall. 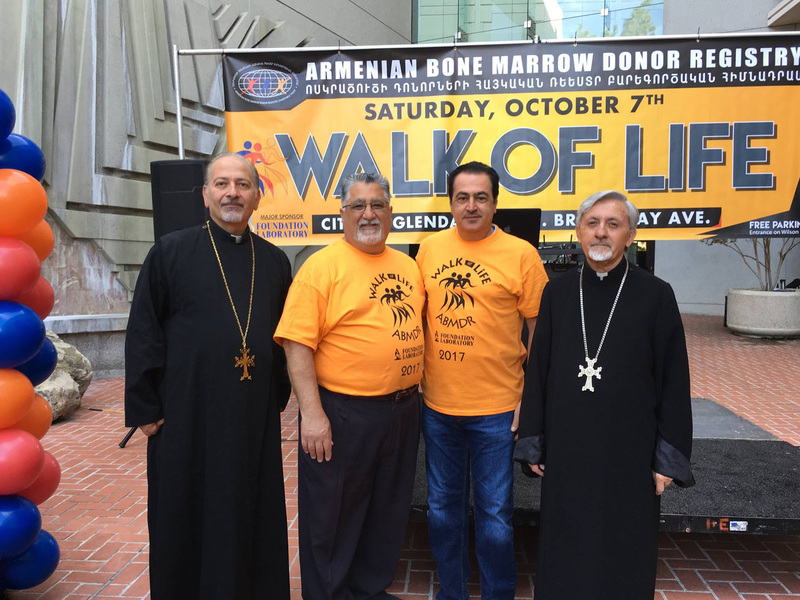 Dr. Ashjian acknowledged attending dignitaries and the walkathon’s honorary chairs, including Father Vazken Atmajian of the Western Prelacy; Father Hovsep Hagopian of the Western Diocese; California State Senator Anthony Portantino; Glendale City Mayor Vartan Gharpetian; Glendale Unified School District Board of Education member Dr. Armina Gharpetian; and Areg Boyamyan, Senior Vice President of Foundation Laboratory, a Lifetime Supporter of ABMDR. 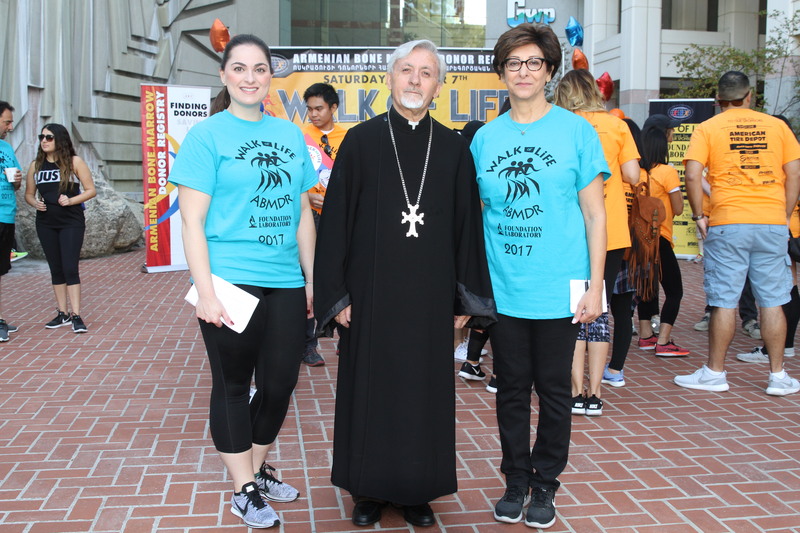 Prior to the commencement of the walk, Dr. Ashjian acknowledged Providence High School as the walk team with the most participants, and Arpine Zohrabyan’s team as the team with the most funds raised. 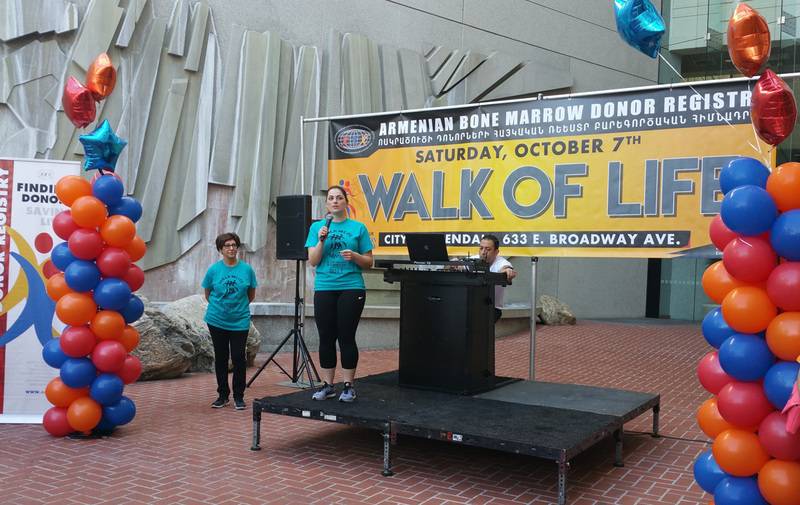 Remarks were also delivered by bone marrow stem cell donor and ABMDR Board member Paulette Malekian, and cancer survivor Cynthia. 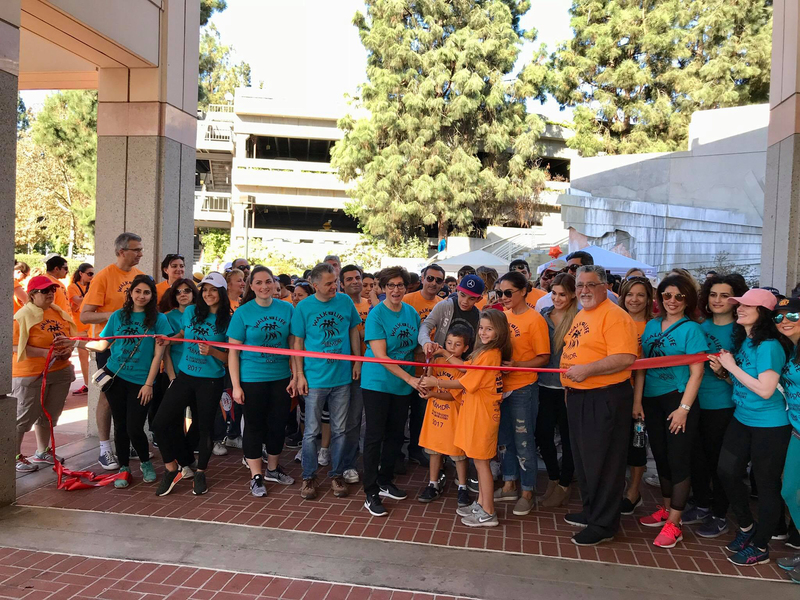 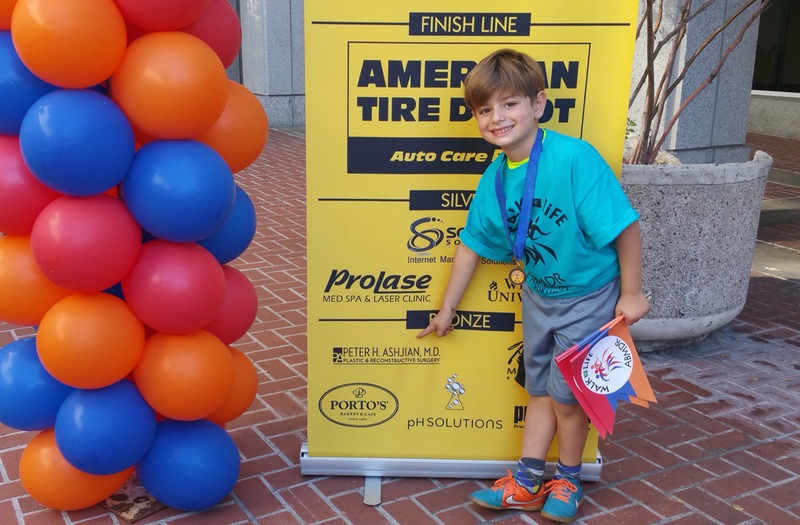 Following the ribbon-cutting ceremony, the 5-K walk-run looped through central Glendale and concluded at the plaza of the Glendale City building. 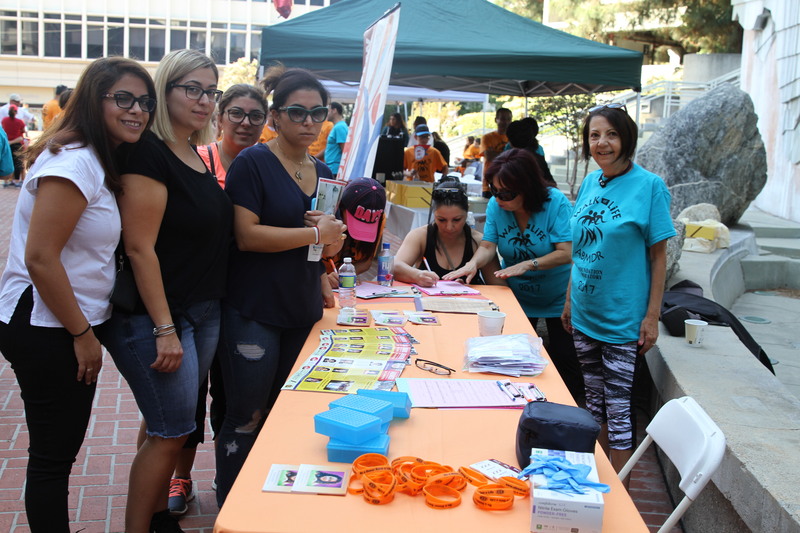 As the throngs of participants once again converged on the plaza, the festivities continued into the day. 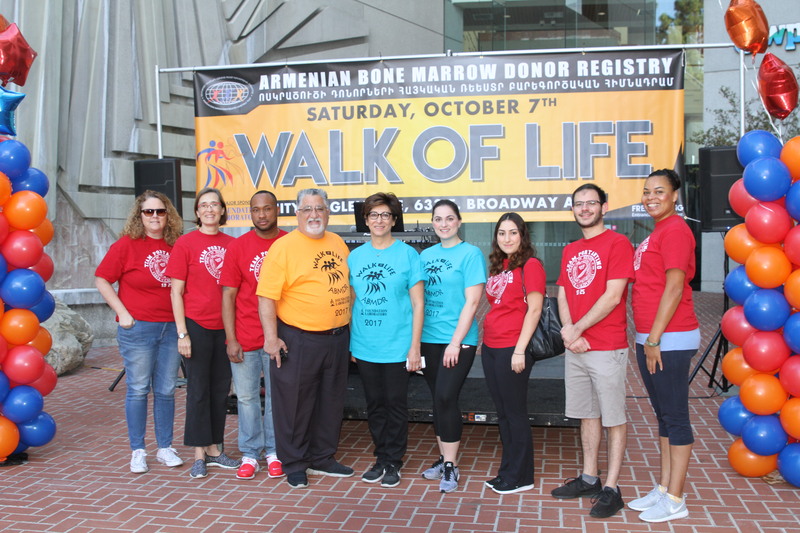 The event also gave participants the opportunity to join the ranks of ABMDR as potential bone marrow stem cell donors, as many volunteers were on hand to answer questions and welcome new recruits.